We did some studies on enlarging the resolution of our app to take advantage of the new iPad retina display. What you get is increased detail when zooming in on illustrations. Below are two examples. 1. 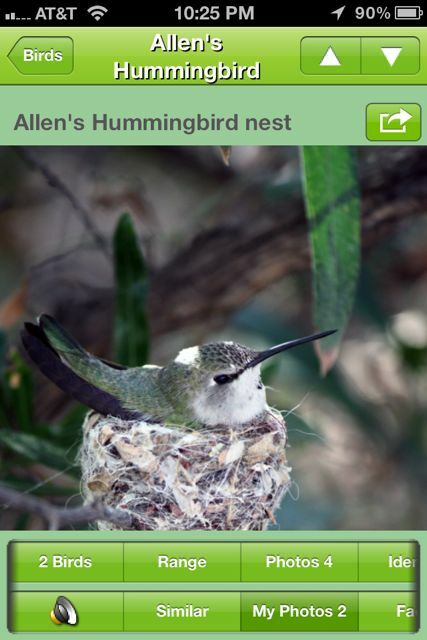 The first illustration is from our current iBird Pro app. 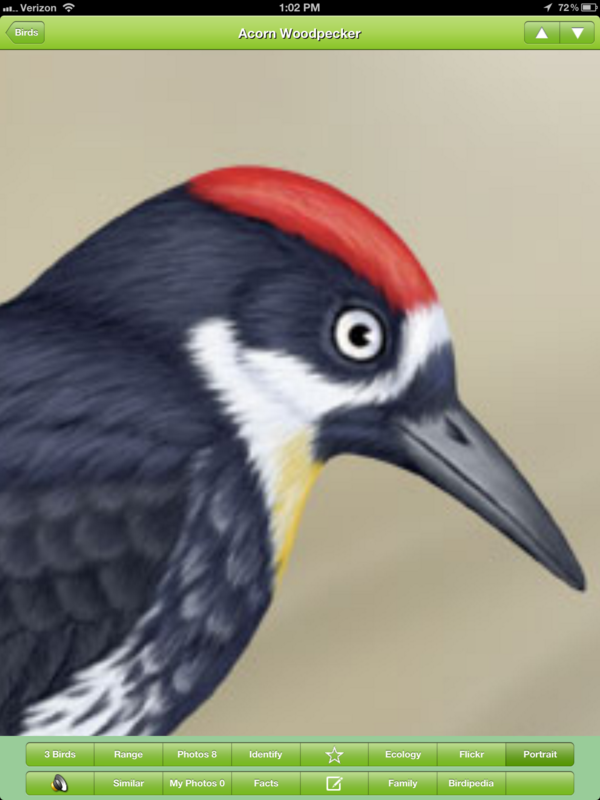 On an iPad 3 I opened the Portrait and page and enlarged the head of the Acorn Woodpecker as it is now, so you can see how it pixilated on the iPad 3. (It would look this way on any iPad). 2. 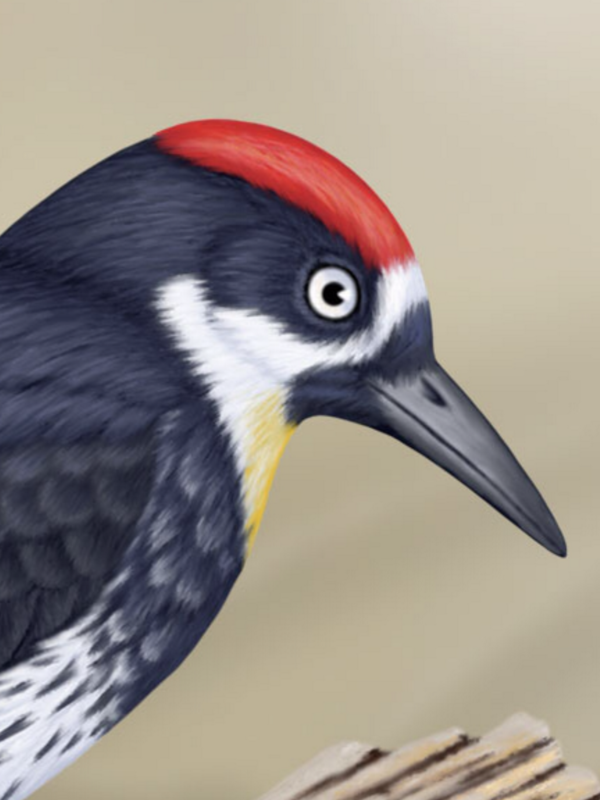 In the 2nd photo I made a new image of the Acorn Woodpecker so its height is equal to the height of the iPad (1536) (overall 1229 w x 1536 h). 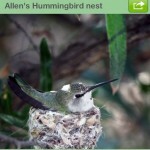 I then imported into the iPad 3 Photo Gallery and zoomed in to about the same size as the one in iBird. Compare the differences. Is it not amazing? Since the iPad 3 is actually 264 dpi I could make the image even higher res and it would look even better. 3. Bytes wise the larger images takes up 230K which is pretty large. Let’s assume this was the average for all our images (which may be close to correct). So if you multiply this by the current 1300 drawings in iBird it would be about 300 MB for all illustrations. That might not be so bad an increase in app size since we are already at 600 MB for Pro with about half this being the sounds. But if we also do this to photos then we have to add 3,000 files and that is another 900 MB or 1.2 GB. 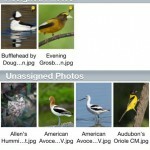 Add in our sounds you are talking about a 2.5 GB iBird app. At first I thought this would be too big to try to sell then my marketing brain kicked in like this. 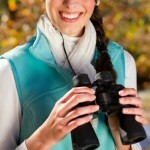 We are planning to do iBird HD for the iPad completely over, starting from scratch. 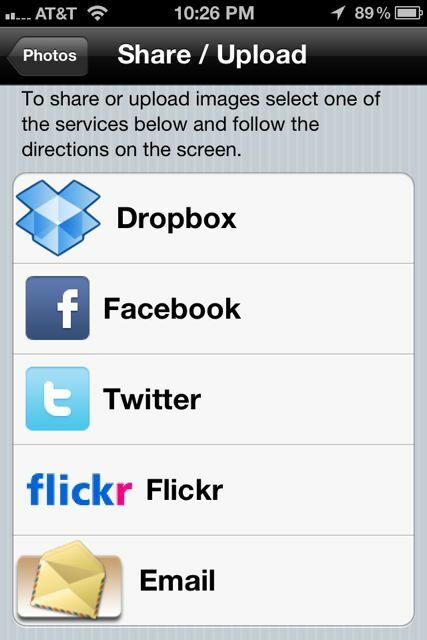 This app will have a new UI to replace the sucky one in HD. We use the SAVE algorithm (SAVE stands for Smart Attribute and Value Elimination and is covered by this patent: http://www.google.com/patents/US7363309). Let’s say we let this app be 2.5 to 3 GB. We may call it iBird HD Ultimate. We would let it replace the current iBird HD and it becomes our super-sized native iPad bird app (current iBird HD Pro owners see it as a free upgrade). 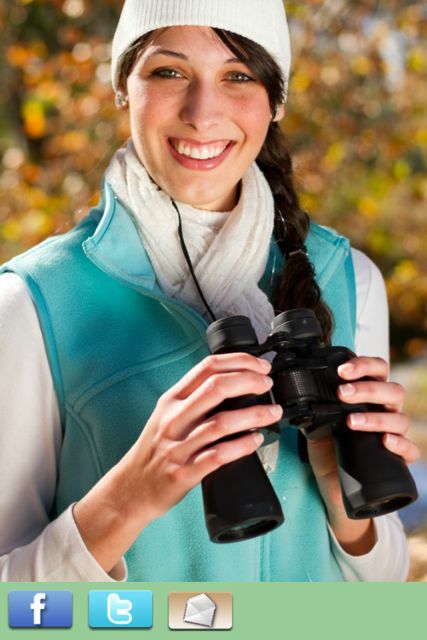 Perhaps it becomes the King of birding apps in the iTunes app store and nothing will ever touch it. 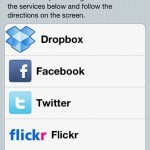 NEW PHOTO CENTER – If you love photography this new feature is going to blow your mind. 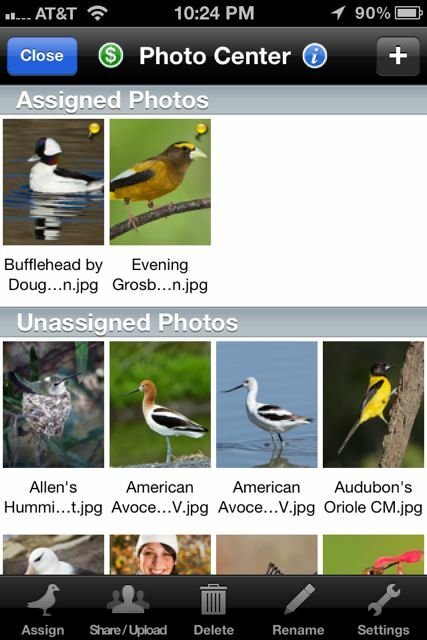 The Photo Center lets you import your own photos and then add them to a bird species. But it does more. 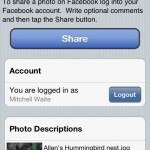 It lets you share them on Facebook or Twitter, or email to friends. 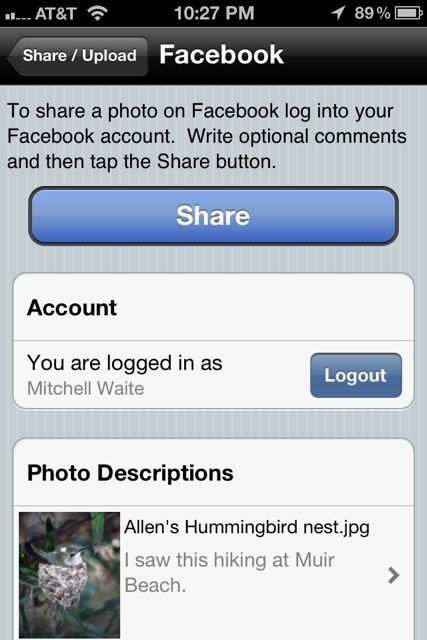 You can set up the slideshow so it shows only your photos with the species bird songs playing behind it. We spent 3 months building the Photo Center and we really think you’ll find the functionality outstanding.